When I think of long summer days in the country, one of the first things that pop into my head are big, beautiful sunflowers. 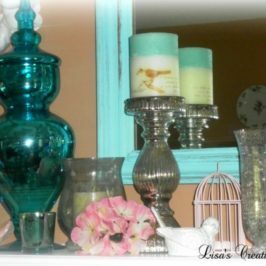 I love to plant them in the garden and incorporate them into my decor as well. 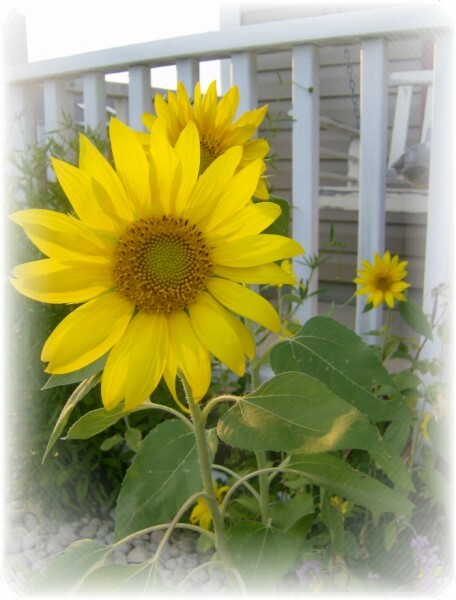 Decorating with sunflowers is a simple way to give your home instant country charm and bring the outside in. I have been dressing up my front porch the past few weeks and wanted some new throw pillows for my porch swing. Although I knew it wouldn’t be hard to purchase something ready made from a “big box” store I wanted to make something myself. 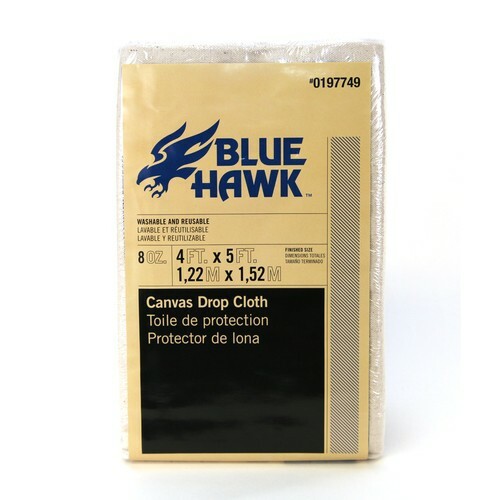 I went to my local home improvement store and bought a canvas drop cloth in the paint department for $6. 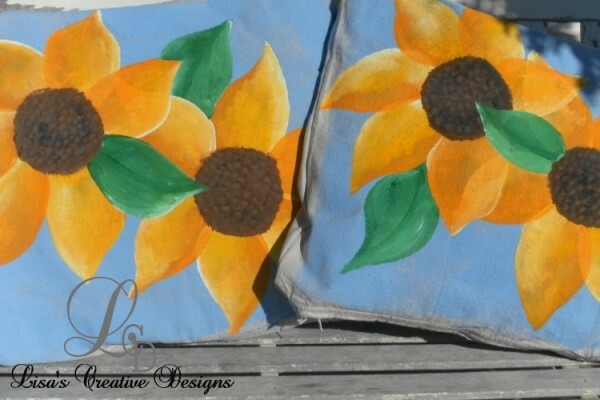 I cut out 4 large squares of equal size, sewed them into pillows, added zippers and then painted a few cheerful sunflowers on them. I finished by inserting a pillow form into each one. I painted the pillows with regular craft paint mixed with Textile medium . 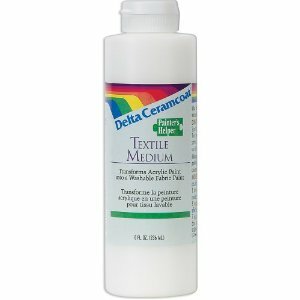 The textile medium makes the paint permanent, flexible and washable without running. Decorative pillows with a sunflower theme can be placed in entryways, hallways and living rooms to give your guests a warm welcome. 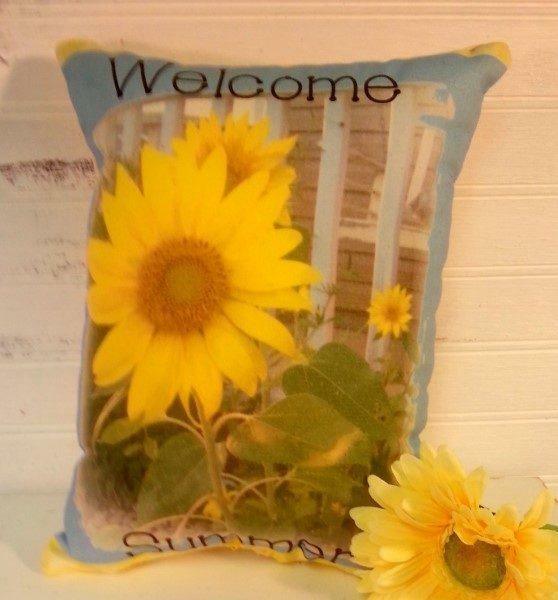 Here’s another sweet sunflower pillow featured from my line of handmade pillows. 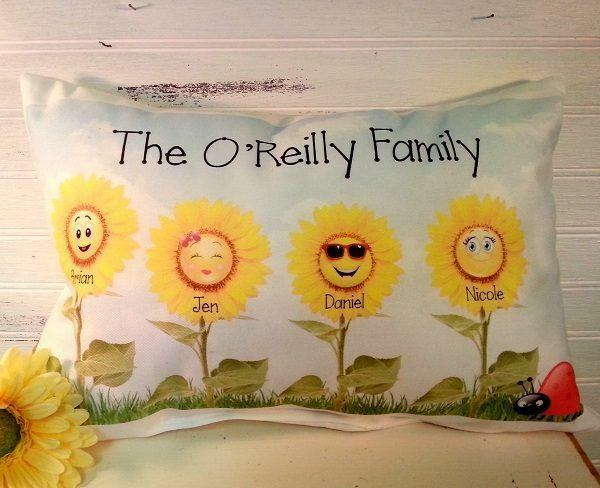 And who could resist this adorable personalized sunflower pillow? 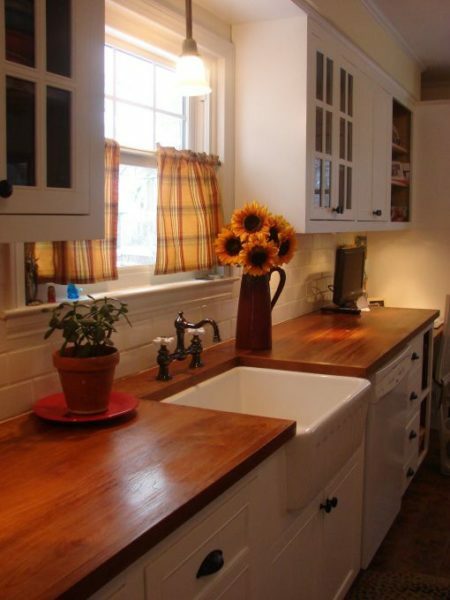 Your country kitchen is a perfect spot for decorating with sunflowers. A large pitcher or container filled with a simple bouquet on a table or counter will bring country charm to the heart of the home. If you are a total sunflower addict you can also incorporate sunflowers into your kitchen with themed curtains, dishes, paper towel holders, towels……. the choices are endless! 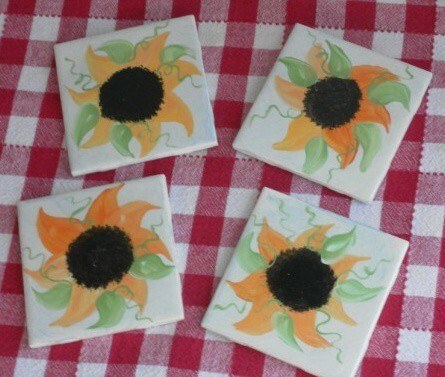 Simple 4″ kitchen tiles can be transformed into Sunflower Coasters with glass and ceramic paint found at your local craft store. 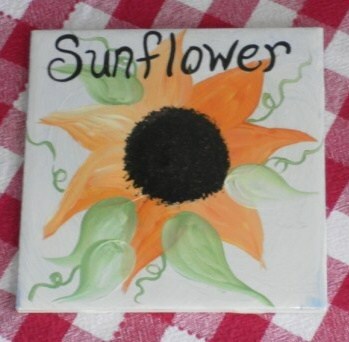 Larger tiles can be crafted into Sunflower Trivets for your kitchen. 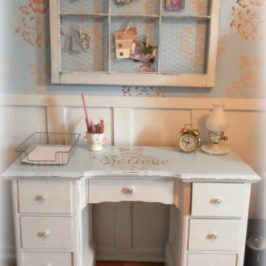 If you are not really crafty or artistic you can purchase them on my website and have them custom painted just for you. 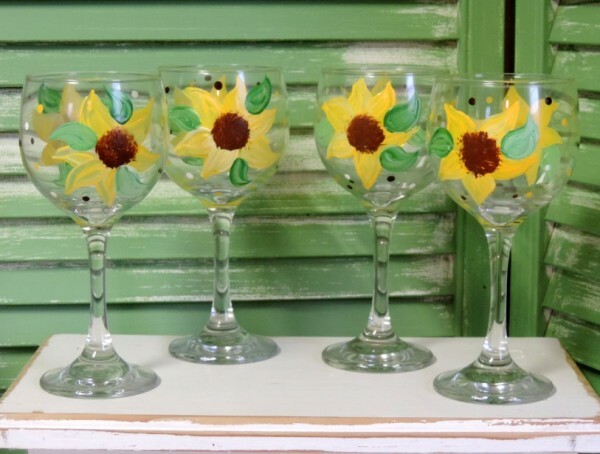 Toast to summer with a few hand painted sunflower wine glasses. Perfect for parties, a country wedding or relaxing on the porch on a warm summer evening. 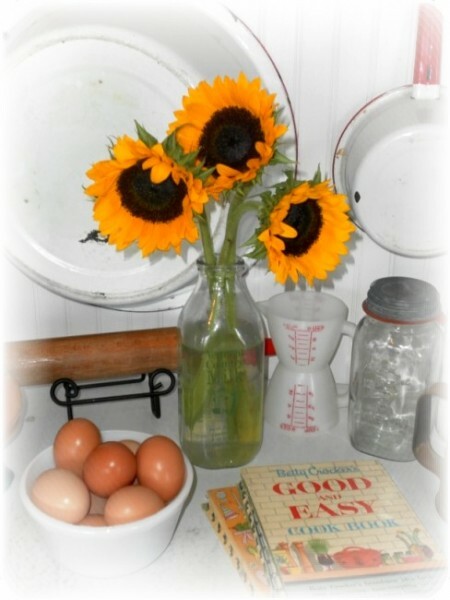 Some freshly picked sunflowers placed in a vintage milk bottle or canning jar makes for a great country centerpiece. I found these beauties in the floral department of my grocery store. 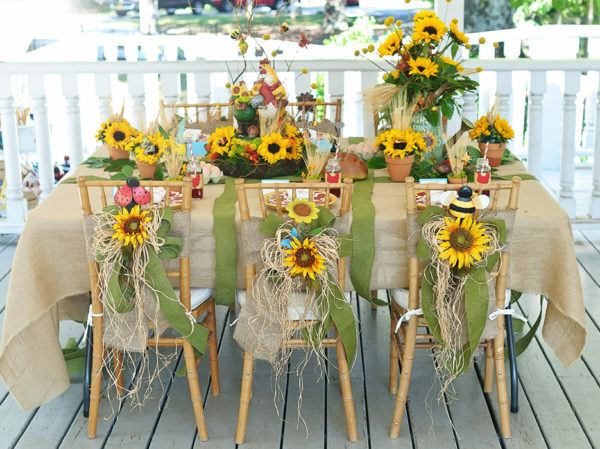 Mason Jars filled with sunflowers can add an instant country touch to any room or event. 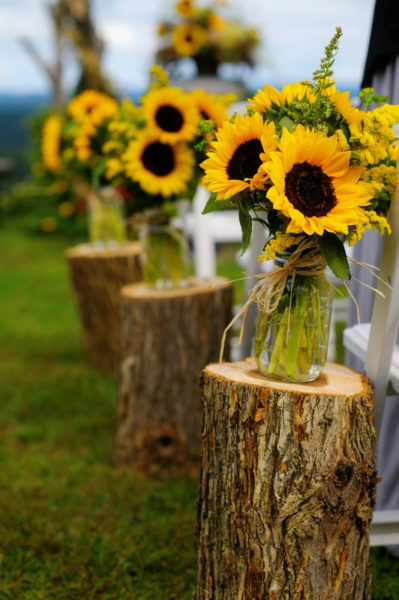 I love how they dressed up a line of tree stumps by placing a sunflower arrangement on each one when decorating for a Country Wedding. 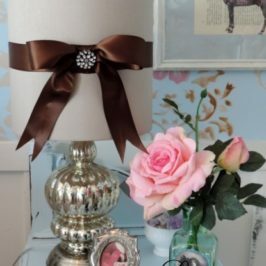 This photo was featured on the blog Style Me Pretty. 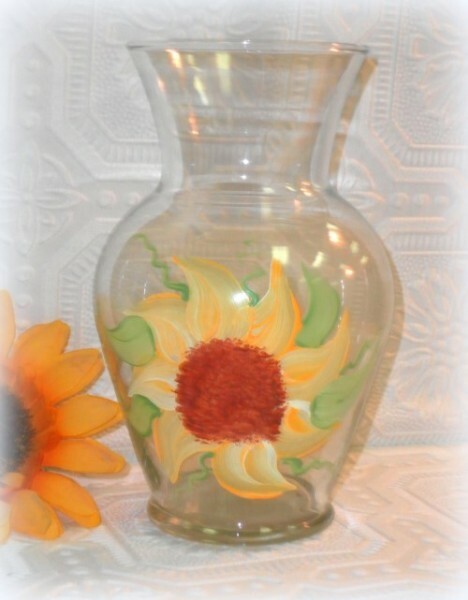 Take it one step further with a hand painted sunflower vase. When warm weather beckons and you want to bring the outdoors in, think sunflowers! Thanks so much for visiting today. I hope you have been inspired. 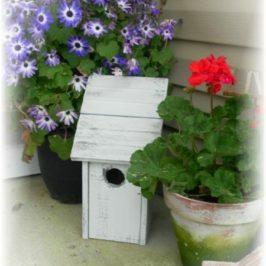 A Cottage Inspired Garden Porch Makeover!  pier one has some very realistic looking ones, but they don't always carry one type of flower. if they don't have any i would just google silk sunflower. I like the canvas pillows idea. I’ve never used textile medium before. 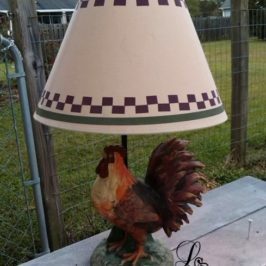 Thanks for sharing how to make custom items on the cheap.